Many 19th-century New Zealand flour mills were powered by wind. 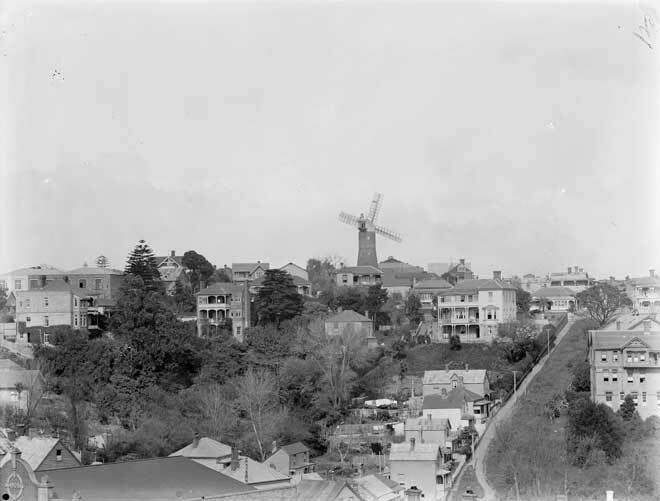 Engineer and millwright Charles Partington built Partington’s Windmill in Symonds Street, Auckland, in 1851. Made of bricks from local clay, it was 24.3 metres high. The mill was run by Partington’s son Joseph until 1941. It sat unused until demolition in 1950, and a hotel was later built on the site.